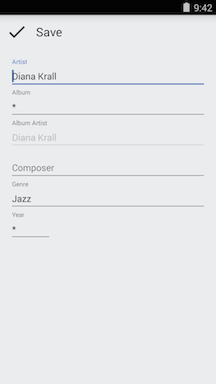 To edit Artwork metadata, tap on the 3-dot menu next to any album and select the "Edit Metadata" option. 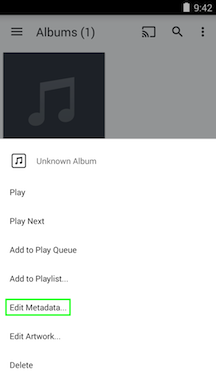 If you're editing multiple items together (for example, an album containing multiple songs) you'll see a warning toast with a reminder that the metadata edits will apply to all underlying songs. 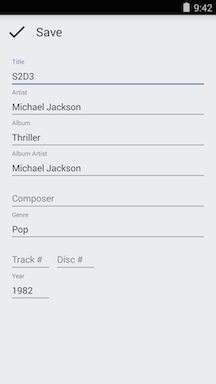 Also, some fields, like Track number and Title will appear grayed out because they represent song-specific data rather than album data. 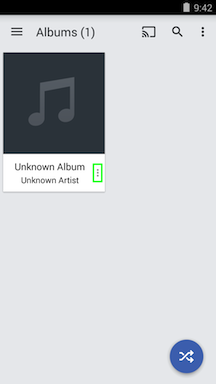 Finally, if you see any metadata fields containing an asterisk (*), use extra caution. 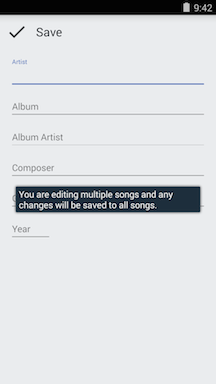 It indicates that your edits will affect multiple items in your library (for example multiple albums) and if you inadvertently overwrite metadata in these fields, there's no way of recovering the previous data. 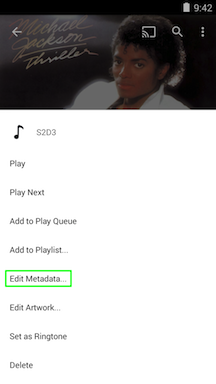 When you're editing specific songs, all metadata tags are editable. 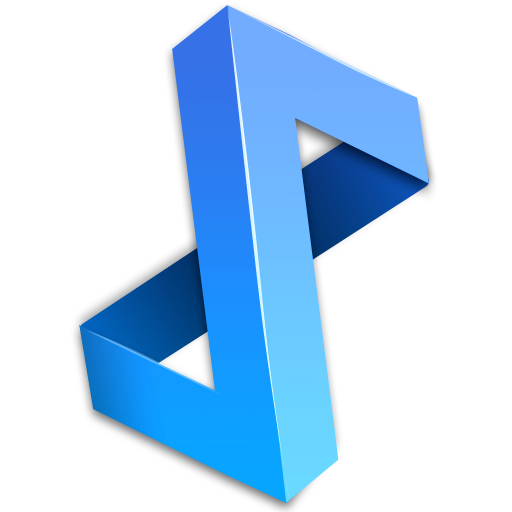 If you have Twist Pass, all your metadata edits, ratings, playlist data and favorites are securely backed up to doubleTwist servers and automatically restored & synced to your Android device from the cloud even if you reset your phone, get a new device or suffer data loss or corruption.